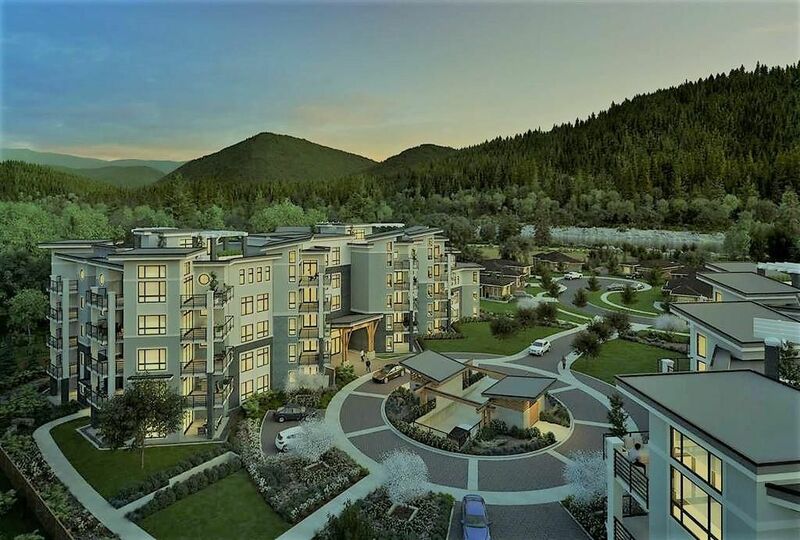 Suites just released at The Boardwalk's Phase Two - Brand New luxury condo living near the banks of the Vedder River and the ever popular trails and parks. Beautiful two bedroom suite with the patio facing the river, this suite features modern designer wood cabinets with under-mount sinks, under cabinet lighting, soft close drawers and doors topped with quartz counters throughout. gas range, black stainless Kitchen Aid appliances. Tile and laminate flooring throughout. Tall 9 foot ceilings and a gas fireplace, with superior finishes and fixtures. The Display home is built to represent one of the suite plans and is open from 1 to 4 p.m. Saturday's or by appointment. Don't miss this great opportunity to live in this awesome neighborhood. Come and find out what all the excitement is about!